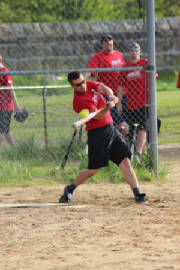 OSCEOLA MILLS - Armor Bearers won its first Unity League championship Saturday, edging Gethsemane United Methodist, 7-5. The Bearers defeated Calvary-Rock United Methodist Churches 19-5 in the winner's bracket semifinals and Gethsemane, 14-10 in the winner's bracket final to advance to the championship game. Gethsemane UMC defeated First Baptist Church 12-2 in the semifinals prior to dropping the winner's bracket final game to Armor Bearers. It rebounded in the loser's bracket final with a 13-12 victory over Calvary-Rock UMC. Calvary-Rock UMC began the day with an 8-3 win over Trinity United Methodist Church in the winner's bracket quarterfinals. After suffering its loss to Armor Bearers in the semifinals, Calvary eliminated First Baptist, 16-14 and Trinity UMC, 25-23. First Baptist opened the tournament with a 22-10 win over Gospel Tabernacle Assembly of God. Trinity eliminated GTAG in the loser's bracket quarterfinals, 20-0. PHILIPSBURG - Unity League hosted its annual food drive during the month of May and collected over 250 pounds of non-perishable items for area food banks. Gearhartville Free Methodist collected the greatest weight of non-perishable food items with 93 pounds. Calvary-The Rock United Methodist bested Armor Bearers by two pounds for second most. The items were weighed at the league's June meeting. 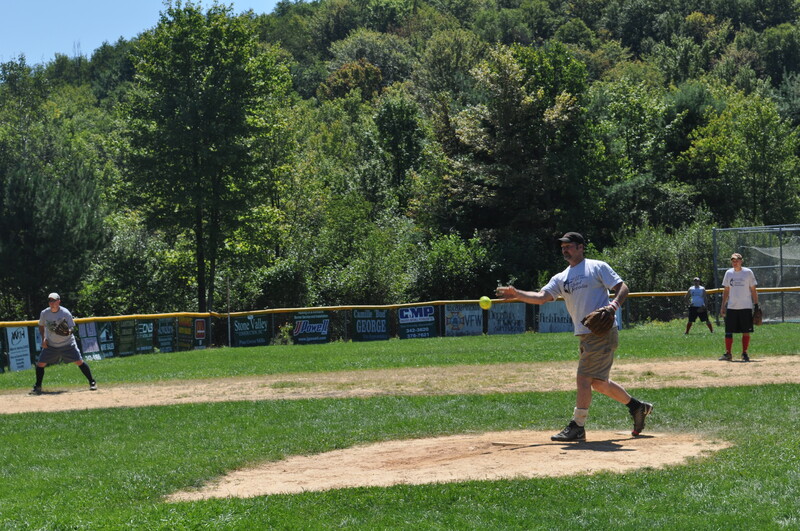 PHILIPSBURG - The Unity and Moshannon Valley Church Softball Leagues joined forces for the sixth consecutive year to help someone in need. 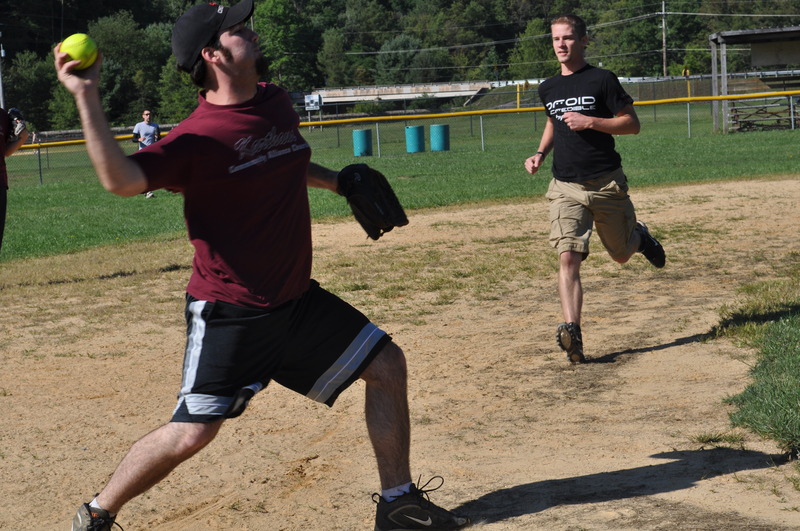 The leagues held a benefit church softball tournament Aug. 10 and hosted a rec tournament Aug. 11. This year's tournament raised $3,145.15 for Lacy Frelin Magagnotti who was diagnosed with liver cancer. Lacy joined her husband, Frank and daughter, Mia to thank us and watch a portion of the rec tournament. Please continue to keep Lacy in your prayers as she continues her fight! OSCEOLA MILLS - Calvary-Oak Grove United Methodist won its third straight Unity League Championship Saturday by defeating Gethsemane United Methodist, 14-7. The game marked the third time the teams have met in the championship with Gethsemane winning 8-7 in 2010 and COW winning 11-3 in 2011. Gethsmane fell to Karthaus Community Alliance Church, 11-10 in the winner's bracket semifinal before rebounding in the loser's bracket. Gethsemane defeated Gearhartville Free Methodist, 16-1 and Karthaus, 16-1 to reach the championship. COW beat Gearhartville, 18-5 in the winner's bracket semifinals and dropped Karthaus into the loser's bracket with a 15-5 win in the winner's bracket final. Karthaus earned a forfeit win over The Church That Meets at Ramey in the loser's bracket before it was eliminated by Gethsemane. Gearhartville kicked off the tournament with a forfeit win over Ramey in the winner's bracket quarterfinal. 2008-2014 Amateur Softball Association Charter Member. COW competes at the benefit tournament.